In simple or hemimetabolous metamorphosis there are 3 developmental stages: the egg, the larva, and the adult. The juvenile insect, upon hatching from the egg, resembles what it will look like as an adult and goes through a series of instars between successive molts as it grows. The number of instars is variable and depends on the species. The wings develop externally during the larval stage and small wing pads can be seen on the larva. Each time the larva molts, the insect progresses to the next instar and each instar has larger wing pads. Many common insects have simple metamorphosis including grasshoppers, dragonflies and damselflies, mayflies and stoneflies. 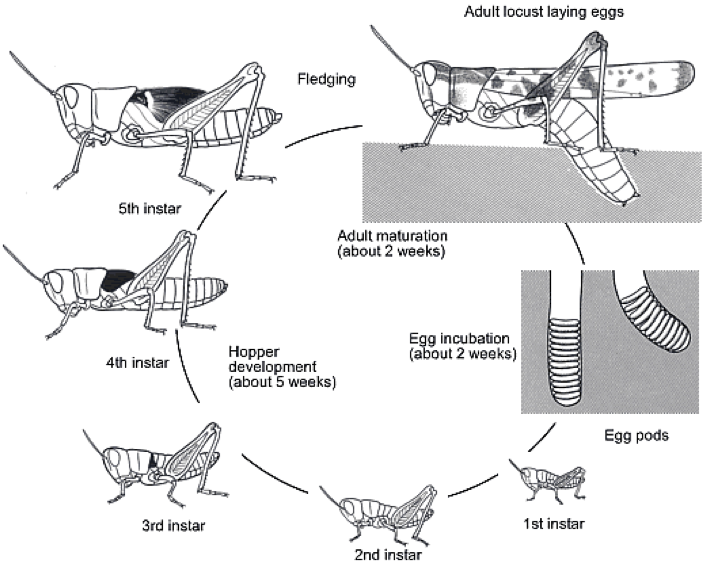 Figure 8.13: Locust life cycle. Notice there are 5 larval instars and the larva and wing pads (shown as dark patches on the thorax) get bigger after every molt.